It was brewing for some time. Airbnb’s specialised style of accommodation – allowing users resident in a city to effectively let their premises outside the usual hotel-rent nexus – was bound to put urban planners, some citizens and authorities out of joint. San Francisco’s Proposition F ballot measure would have imposed tighter measures on short-term housing rental services, of which Airbnb represents with standard bearing enthusiasm. Rentals would have been capped at 75 days a year, whether or not the resident is present during the renter’s stay. In San Francisco, the current law limits rentals to 90 days a year for unhosted rentals, while leaving hosted rentals untouched. The proposition would have also vested power in landlords and neighbours (so-called interested parties) to sue short-term rental companies in the event of infringement. The Airbnb view insists on the entrepreneurial motive, supposedly allowing those hosting short-term renters to earn a tidy sum on the side even as they are renting the host accommodation. Much of this is self-serving and economising. The traveller is offered accommodation in a private residence and takes the cheaper rate, side-stepping the traditional hotel. The issue then is how accountable such companies are in terms of hotel tax. Airbnb has insisted it has generated $12 million in tax revenue for the city. The traveller, while not necessarily an insentient or amoral being, is in the business of travel, and the image of the stalking “Dutch tourists with wheelie bags” or intrepid Australian visitors raiding such opportunities has certainly made its mark on the debate. “Everyone loves using Airbnb, and they’ll say they always use Airbnb no matter where they go,” suggested Russian Hill resident Gary Hermansen, “as long as it’s not in their neighbourhood” (LA Times, Nov 4). The overall context here is less that of Airbnb’s conduct than rules that either should be passed or enforced. It is not that company’s existence that poses the problem, so much as where it fits in the rental market. Cases have been noted of leasers being evicted because they were earning just that bit too much of a tidy sum on the side, effectively engaging in sub-letting through the company. This has effectively created an artificial market of accommodation, one that Airbnb erroneously argues as actually helping with rising rents. As Nicole Gelinas of the Manhattan Institute’s City Journal noted (June 16, New York Times), “A market-rate tenant may find he can make extra money renting out his pad – until his landlord finds it’s easier to cut out the middleman.” The displaced tenant will then have considerable difficulty finding new lodgings which will be duly leased at a rate three times the monthly rate. Rate controlled premises do not escape the horns of this dilemma. The moral argument is made that rent-controlled tenants should not have that chance to make a small fortune which effectively means using a regulation against itself to make a profit. New York has been particularly prone to instances of illegal Airbnb listings – New York’s Attorney General Eric Schneiderman’s findings suggest that the percentage may be as high as 72 percent. On Tuesday night, the measure lost by a good 55 percent from approximately 133,000 votes cast. That was not to say that the opposition had been negligible. A 45 percent vote in favour suggest that the debate is well and truly afoot in terms of how companies such as Airbnb operate in centres where rental accommodation is suffering the big squeeze. The Proposition F debate is far broader in terms of its implications than San Francisco. The city faces median rest-costs in the area of $4000 a month for single bed room flats. Housing is at a premium, and San Francisco retains rent-ceilings. With a limited number of apartments and very high demand, the transformation of apartments into hotels, or something coming close to that, will invariably make the remainder less affordable. The battle, and discrepancy, of campaign war chests, was also in evidence during the campaign. Airbnb marshalled $8 million in its campaign, one aggressively waged with an insistence that its existence had actually made money for the city in terms of hotel tax revenue. A series of brazen billboards were unleashed. “Dear Public Library System,” went one such advertisement, “We hope you use some of the $12 million in hotel taxes to keep the library open later. Love, Airbnb.” Broader consequences to the rental market were discounted. Their opponents, in contrast, gathered a meagre $800,000. On Monday, Prop F backers stormed the Brannan Street headquarters of the company. They came equipped with forceful placards and posters floated on helium balloons – “ENTITLEMENT: love Airbnb”; “HOMELESSNESS: love Airbnb”: “EVICTIONS: love Airbnb.” The activist insistence here was that Airbnb has encouraged more displacement. The supporters of Airbnb can only see innovation and a form of business genius. 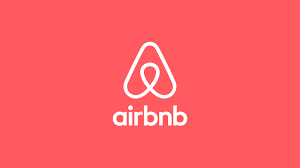 Arun Sundararajan at the Stern School of Business at New York University prefers to see Airbnb as a barnstormer in creating “a new form of mixed-use real estate: residential units that sometimes double as short-term paid accommodation.” It is always the same language that smacks of an amoral pursuit of pocket over viability. He takes the view that the impact on rental supply is ambiguous, though such speculation only tends to arise when a company narrative contests that of an institutional one. Sundararajan also raises the issue that San Francisco is particularly problematic given the presence of over 170,000 spaces which are rent-controlled. The subtext here is that such regulations are at fault, and that entities such as Airbnb are collaborators in the rental market rather than promoters of naked opportunism. Here, again, the non-regulatory genie is released. Who, then, can we trust? San Francisco officials who claim that the impact is negative, or Airbnb’s own analysis which, with astonishing surprise, suggests otherwise? The clue here is to see who is paying for the research. The question that should be asked, ultimately, is whether the citizen’s imperative is protected in allowing residents to effectively create a pseudo-hotel system within a rental market that is already stressed. A form of regulation is certainly warranted, but the looming question is whether Airbnb is a partner in the civic, public cause or an agent for selfish accumulation in spite of it. Self-regulation, which often appears in such debates, tends to be the backdoor to profit rather than distribution.